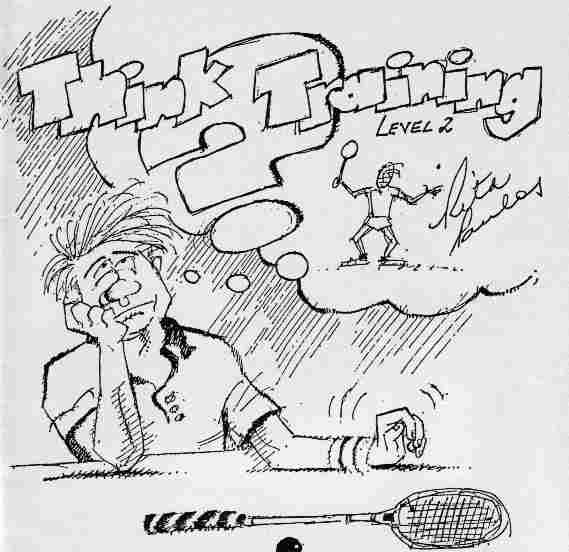 Using Squash tactics according to the tactical fundamentals below should be the start of any Squash game plan. After gaining rhythm using the fundamentals, vary your Squash tactics according to your opponents strengths and weaknesses. If a certain Squash tactic is successful, be sure not to overuse it. Your opponent may well get "on to it" after a while. A stubborn opponent can be difficult to beat. Be patient in executing your tactical plan. Vary your serve in speed and direction. Volley the serve putting your opponent on the defensive. Hit the ball to a good length and wide for cross courts. Volley the ball wherever possible in the rally. Hit the ball to the corners to get the opponent off the "T". Hit the ball early when the opponent is out of position. Vary the time of the hit when they are in position, to upset their rhythm. Recover to the “T” as quickly as possible after striking the ball. Keep your opponent running, by hitting the ball away from them. Vary the pace of shots to reduce predictability. There is a great tactical advantage by being able to play various shots from the same position on court. Why? Playing the three corners of the court within a rally using similar approaches, keeps the opponent on their toes. Makes the opponent travel a further distance. Can catch the opponent on the wrong foot. Makes the opponent stop and start which becomes more tiring. Most of all monitor what you are doing, and use the shots to your advantage, eg if the opponent starts to move forward, hit length; if the opponent hangs back, play a few short, and so on. Cannot get the ball past the opponent?